Hello loves! 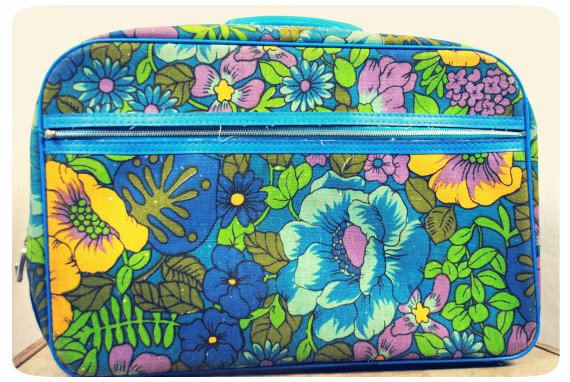 This week's Kitsch Krazy is all about floral overnight bags! 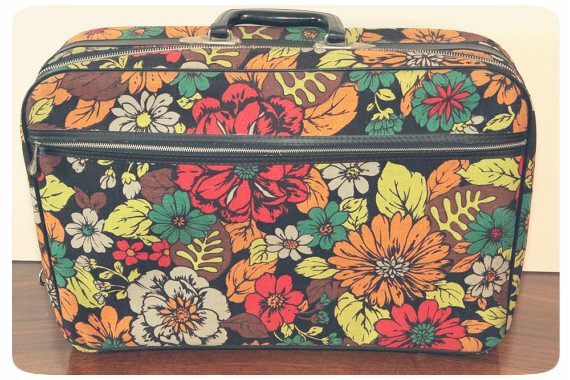 I am a huge fan of using these bags as purses! Being a mommy, I love having a bigger bag because you never know what you're going to have to throw in your purse. Kids make you hold just about everything, not to mention snacks, cups, and toys! 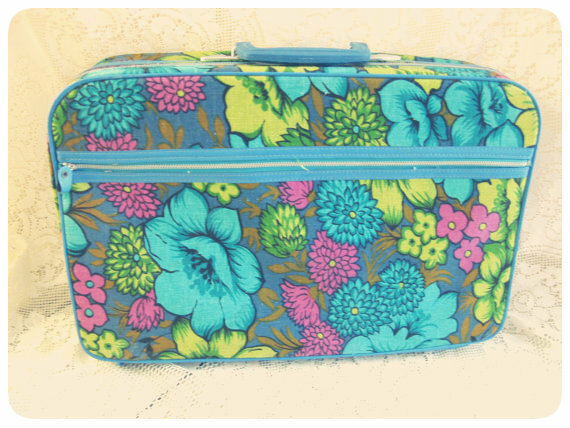 These add the perfect pop of color and pattern to any outfit and are spacious enough to hold all of your essentials. 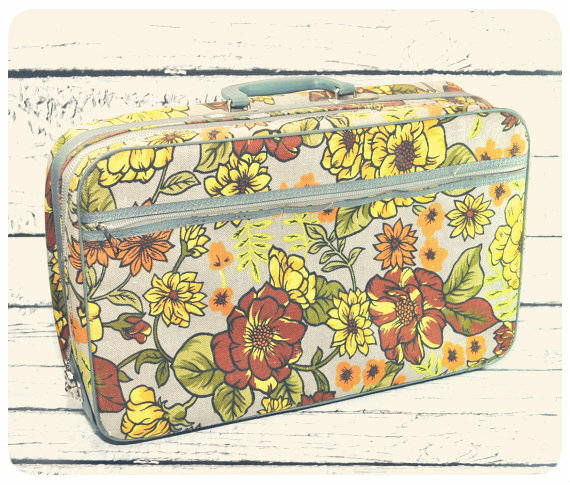 They are also perfect for weekend trips or even to use as a brief case for the office! 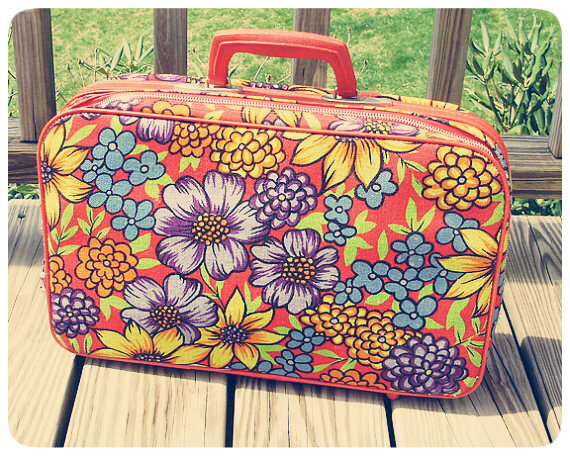 I'm so obsessed with these retro suitcases! I'm loving 2 and 6 six! 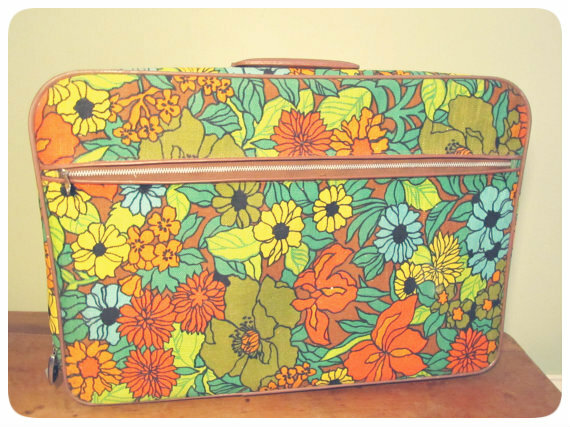 I love old luggage but the absence of wheels kills me. I love number six as well! So cute! Number 3 is my favorite!! These are too awesome. I love the color scheme of number three! Good choice! I love all of them! I think the bottom one is my fave. I've been looking for one of these for awhile, one of my vintage selling friends actually garbage picked one over the summer, it was BRAND NEW looking and in amazing condition. Just plucked it right off the side of the road... so jealous! 2 and 5 are my favorites! I love 2 and 5! Those colors are amazing!! !